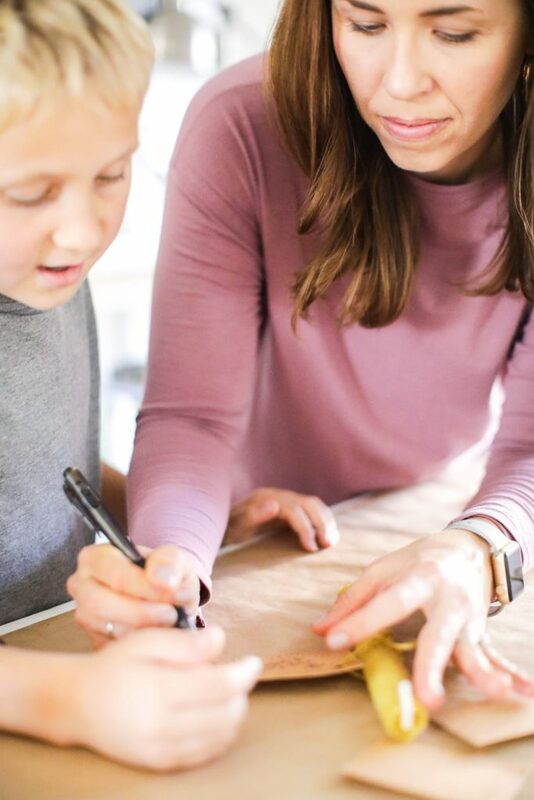 My kids are off school this week (due to Thanksgiving), and yesterday we spent some together making “I’m thankful for you” presents for each of our extended family members. What did we make? 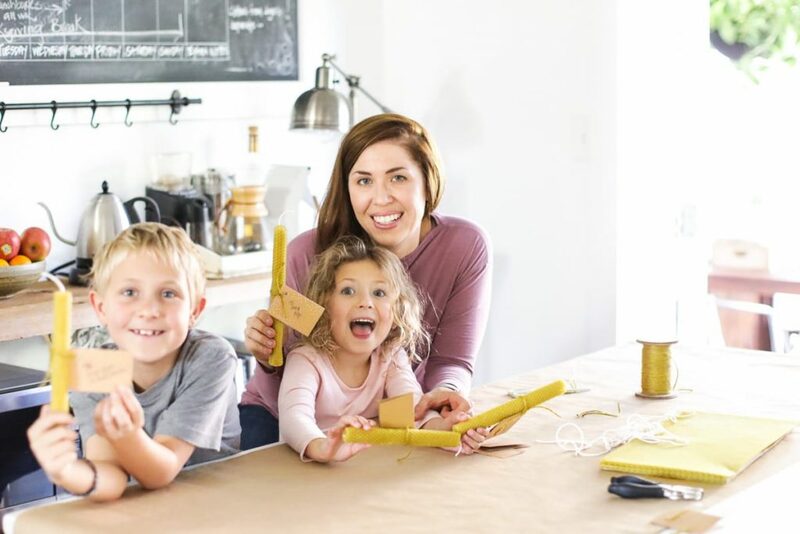 If you’ve ever made candles before (or you’ve read my tutorials on how to make candles), you know that making candles isn’t exactly kid-friendly. Making candles means working with HOT wax, whether you go the slow-cooker route or stove-top route. Most mothers (myself included) don’t want their children around glass jars filled with HOT wax. When I learned about beeswax sheets, and how the sheets can be used to make (no heat required) candles , I had to find some. A few months ago, I purchased beeswax sheets and wick “string” on Amazon. I tried making two beeswax candles by myself, using the sheets and wick string, before inviting the kids to help me. I was amazed at how easy the process was–no heating, no hot wax, no dirty tools, no slow-cooker, no dipping, no fuss. It took me 5 minutes to make 2 candles, and that’s only because I went super slow with my first one. With two candles in my hand, I decided to order more sheets and wick string. This time, I went with a “kit” (just sheets and wick packaged together). 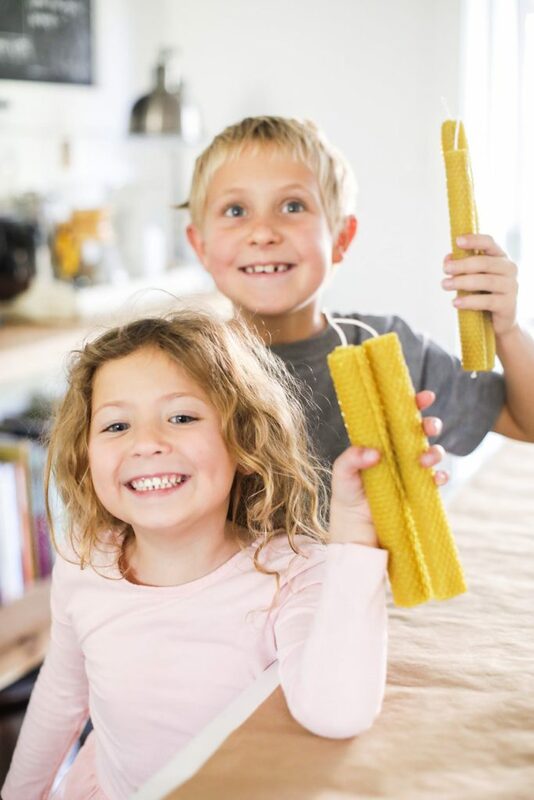 Yesterday, I asked the kids if they would like to help me make candles for our family. My daughter eagerly cheered, “Yes, I want to help!” Piper wasn’t so sure about the opportunity. Londyn is definitely my crafty kid. 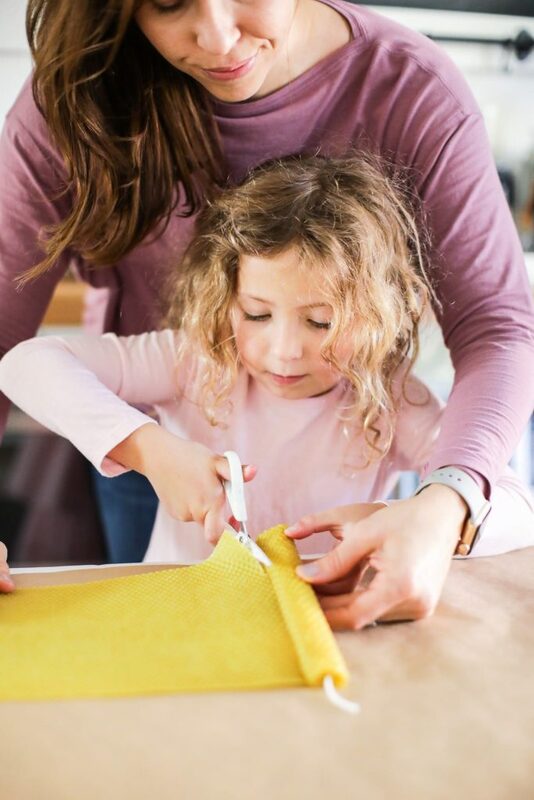 I taught and guided Londyn through the process: how to measure the wick string on the beeswax sheet, cut the wick, press the wick down in the beeswax, and then roll the candle. Piper was intrigued, and decided to join us after Londyn made her first candle. 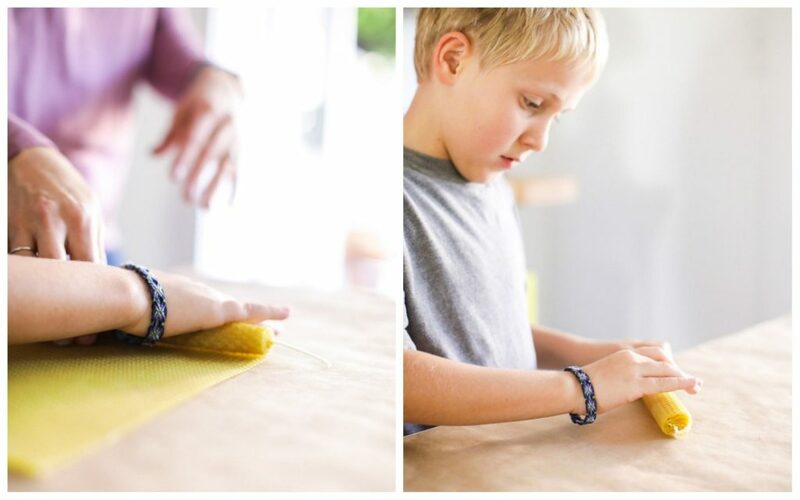 After about 30 minutes, 6 hand-rolled, made-with-love candles were scattered across our kitchen table. The kids were so proud of their work, and they’re excited to gift our family members with their special presents come Thanksgiving Day. I shared the process over on Instagram yesterday (Instagram Story) and so many reader friends expressed a shared excitement about this project. 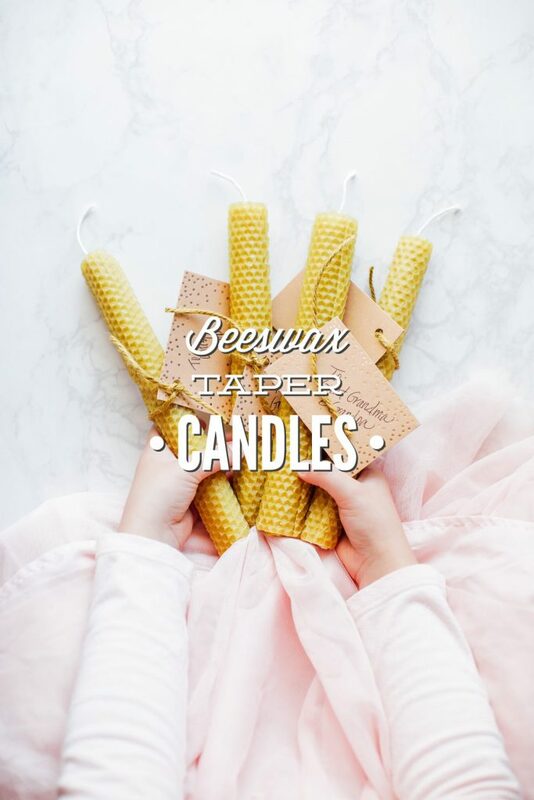 So, here we are today, talking about how to make (the easiest) beeswax taper candles. These candles are perfect to make for the holidays and pass out to teachers, family members, or any special (adult) friends. The taper candles are also beautiful to display in your own home, and enjoy throughout the holiday season. I think these candles would be beautiful (non-toxic) candles to display and burn at a holiday table, too. 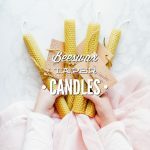 The candles are also a great way for little people to practice fine motor skills: pressing the wick into the wax and tightly rolling the candle. 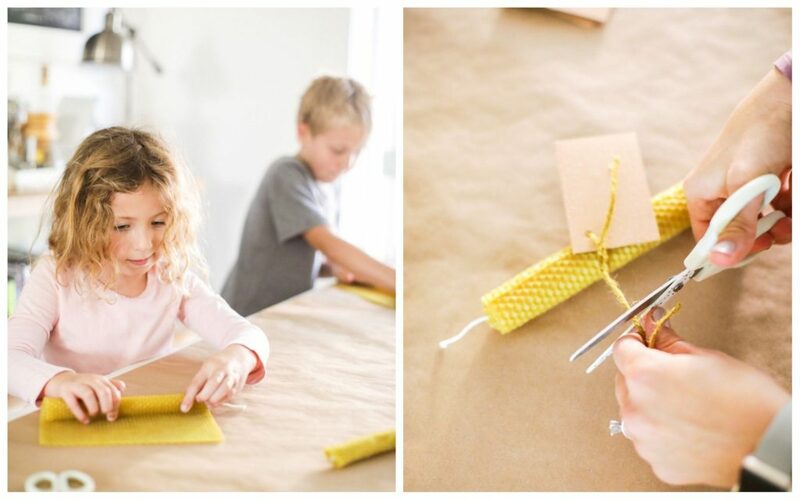 The easiest way to make beeswax taper candles. Once rolled, the candle is ready to use. I use a mini glass jug from Crate and Barrel to display and burn my candles. My mom used a taper candle holder to display the candle we made her, and the candle fit perfectly. *I've found that a kit (just beeswax sheets and wick) is the most affordable route. 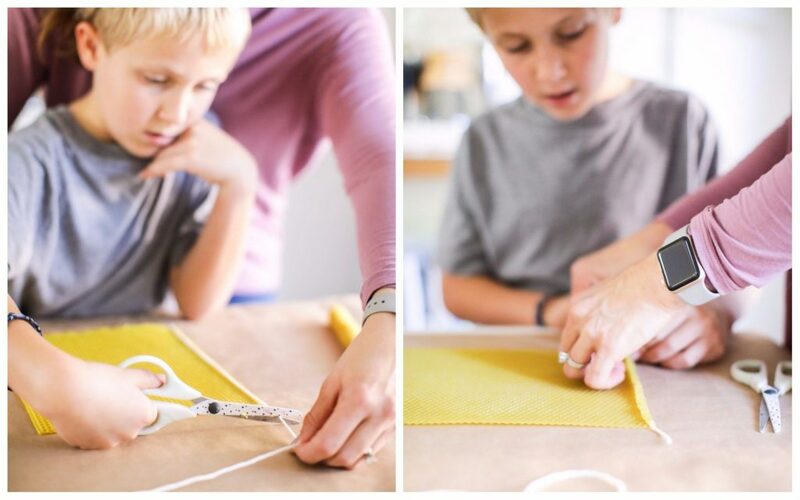 If you'd preferred to skip a kit, you'll need to purchase beeswax sheets (Amazon, or a local beekeeper or market) and cotton wicks. The beeswax sheets I've worked with have all been very pliable. If you happen to have sheets that are stiff, try using a blow dryer to warm up the sheets so they're easy to handle. I like to cover my table (or any surface being used) with craft paper, a brown paper bag, or some kind of cover to keep the beeswax from sticking to the surface. 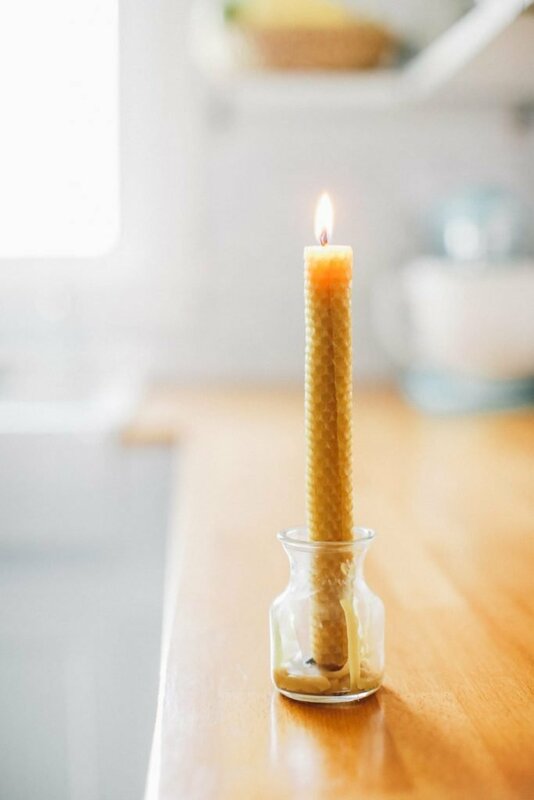 These beeswax taper candles are really unique. This would be a fun activity to do with the kids. I feel like these candles would really add some energy to the office. You’d be amazed at how well candles change the atmosphere. 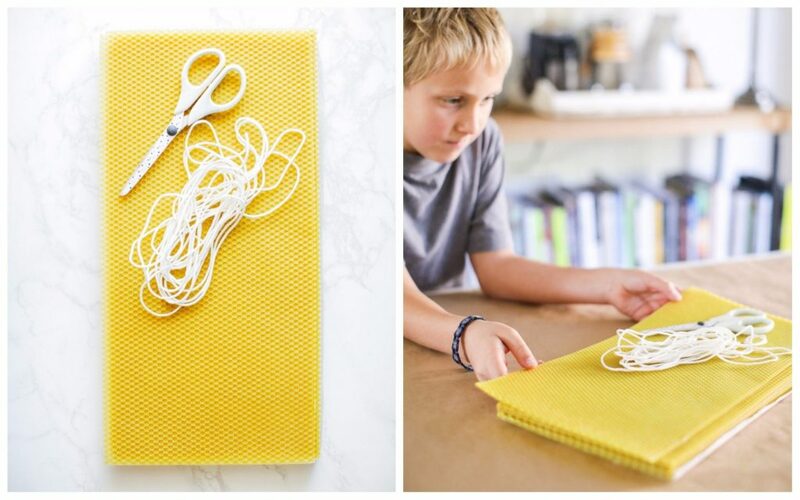 It’s perfect that the beeswax paper is pliable. Thanks, Dennis. Have fun making them. I love this idea! But what can u do with the beeswax once it melts? Hey Diana, Thanks. These are the same as other taper candles–once the candle has burned up, there’s nothing more you can do with it. 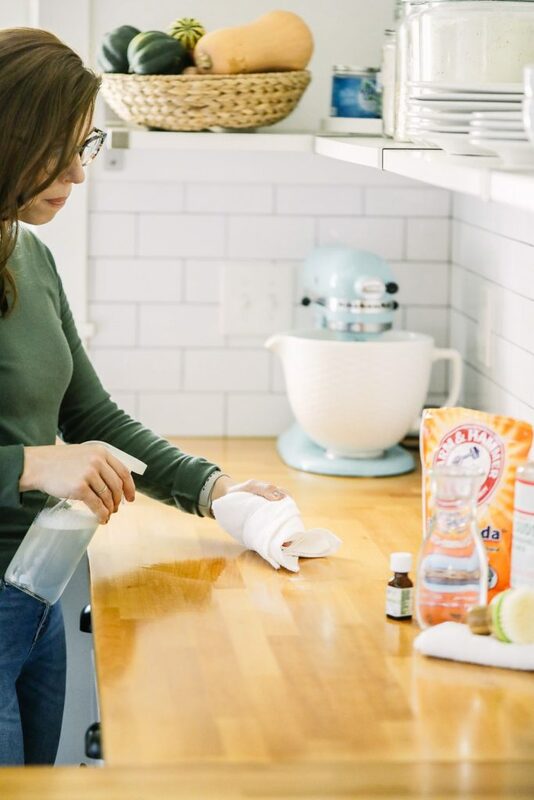 Do you think you could add a few drops of essential oils onto the sheet before rolling it up to add a scent to the candle? Hey Ciji, I think you could definitely do this.